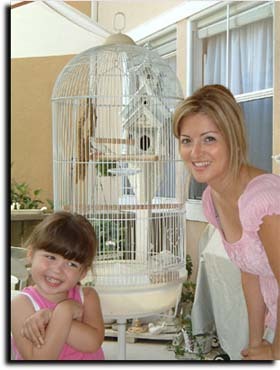 My daughter, Hailey, and I love our little Zebra finches. 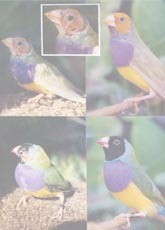 Several months ago I decided to change my Zebra finches' seed to one that was very colorful and that supposedly offered more minerals and vitamins. A few days later I noticed blood mixed in the birds stool. I was really stressed because I could not figure out why our birds were bleeding as neither of them looked sick nor injured. 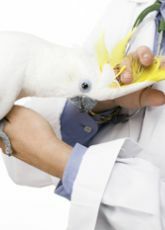 I get really stressed when our birds are sick. They are so tiny and we feel so helpless. 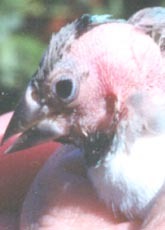 I called my friend who is an expert with finches. She offered to take the birds for a couple of days and observe them. She could not figure out what was wrong because the birds acted healthy. They had full breast bones, no wet vent and tight feathers. Then she noticed the multi-color seed mix that I was feeding my birds. She suggested changing their food to a non-colored mix of seeds. 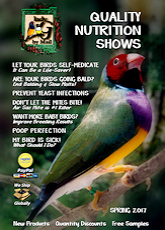 It has now been several months and my birds have not had any red in their stool. I am certain that with my friend’s expertise my problem has been solved. I am so thankful to have a friend who is so knowledgeable. I wanted to share my story to help others that might have a similar problem.